A town on the border-line of Zebulun (Josh. xix. 11). It has been identified by Conder with Dabsheh, the ruins of which are near the hills east of Acco. 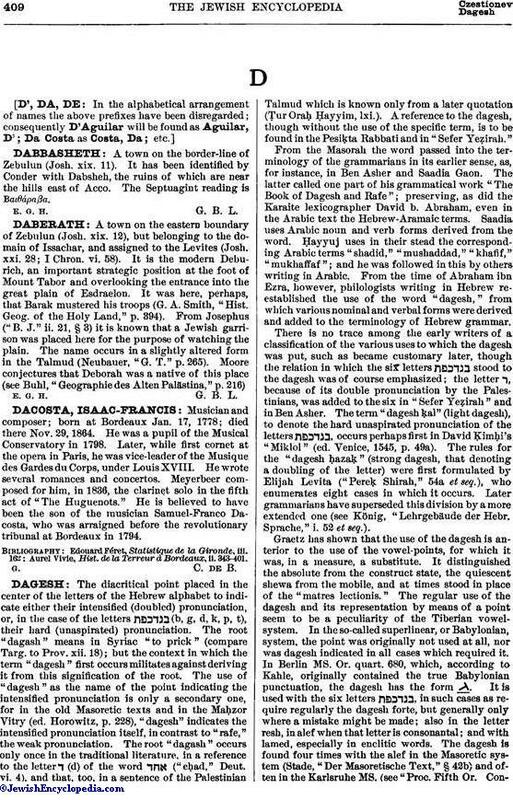 The Septuagint reading is Βαιθάραβα.